This summer, my youngest has been reading a lot of different books on his own. Clearly a major milestone for JSL. While I love his independence, it makes me sad at the same time. I miss curling up with my kiddo to read a special picture book together. When two new books arrived from Sterling Children’s Books to review, I asked JSL if I could read them to him before bed one night. We took the books above and read them together like we used to do before diving into chapter books. It was a lot of fun celebrating at a party with a monster book from an author/illustrator that was new to us. JSL and I also adored visiting with our familiar birdie friend Calvin in his new tale. 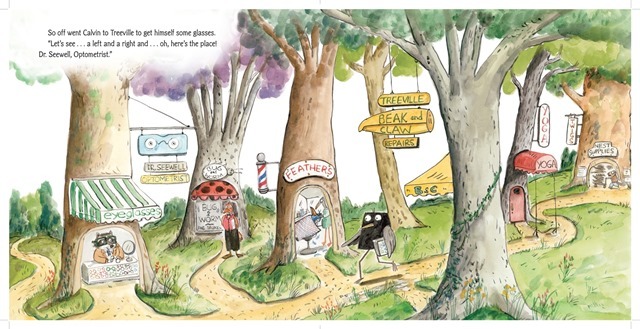 Calvin the book loving bird is back in this latest book by Jennifer Berne. This time, Calvin starts to notice something just is not right with his vision. Why yes, the bookworm birdie shares his adventure as he gets his first pair of glasses. The clarity of the world changes at an instant and poor Calvin is teased because he is different than others. What happens when Calvin finds himself in trouble and needs to save the day? You will need to read the story and follow along with the beautiful illustrations from Keith Bendis that immerse us into Calvin’s world. JSL really enjoyed this book and it gave us a great topic to talk about. We were able to discuss differences. Why it can be hurtful not to accept people the way they are. Oh and thanks to Calvin we talked about never giving up and the important of problem solving when it appears that you are in trouble. I highly recommend the latest book about Calvin and others if you have never read them before. I also pulled up my post from The Albany Children’s Book Festival where we met author Jennifer Berne to remind JSL because he had forgotten about that. We are big monster fans in this house, thanks to the famous Disney monsters like Mike and Sulley. 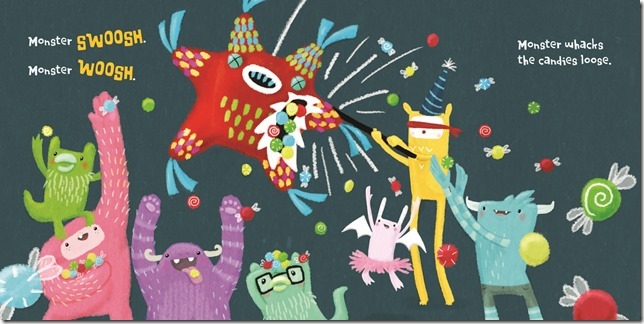 Monster Party is a sweet story about a monster getting invited to a party. Annie Bach’s simple words and whimsy artwork bring us along to see what the little monster does with his friends. JSL liked the rhyme scheme and pictures in the book. It was a little juvenile for him, but he read along with me. I could see this book being used at Halloween time to act and make up a song with a preschool group. Lots of items that could be creatively incorporated with young children. 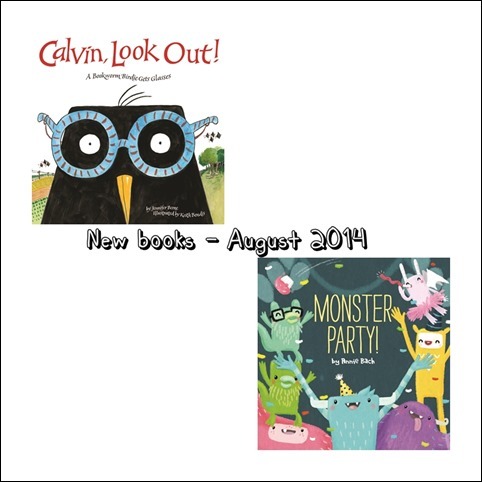 Are you a fan of Calvin the bookworm birdie or other monster books? Be sure to let me know if you have read about Calvin or any good monster tales recently. As always, Tuesday Tales is all about sharing our love of books. Please let me know what you have read recently. Link up to your book posts in the comments below. Include something you read on your own, with a child, or someone else.